Up until now, Adam McKay’s movies were not exactly my cup of tea. I have not seen “Anchorman” or its sequel nor “Talladega Nights: The Ballad of Ricky Bobby” or “The Other Guys,” although I do love “Casa de mi Padre,” a film he produced. 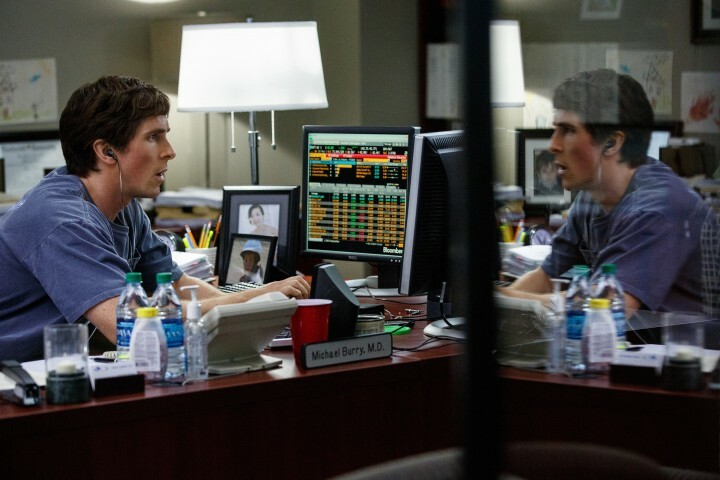 That may change after having seen “The Big Short,” his latest film, a mordant, furious, funny satire about the causes behind the 2008 financial debacle and the worldwide recession that soon followed. It stands next to the documentary “Inside Job,” “Margin Call,” Martin Scorsese’s “The Wolf of Wall Street” and even Michael Moore’s “Capitalism: A Love Story” as one of the most indispensable and vital films to have come out of this mess. Liberally adapted from Michael Lewis’ 2010 bestseller, “The Big Short” is the story of a group of hedge fund managers and investors who decided, against the conventional wisdom of the time, to bet against the housing market. Hedge fund manager Michael Burry (Christian Bale), a socially inept, heavy-metal loving doctor turned financial whiz, was the first to realize in 2005 that the whole industry was close to tumbling down like a Jenga tower when he noticed the large number of subprime loans that would soon go unpaid (indeed one such tower is used by another character in the film to prove how unstable the market was). Burry thus becomes the first investor to bet billions of dollars against the market. By sheer serendipity, investment banker Jared Vennett (Ryan Gosling, also the film’s narrator) finds out about this short bet and approaches Mark Baum’s (Steve Carrell) hedge fund management firm with a proposal. A perpetually angry man with a humongous chip on his shoulder, Baum decides to do some research of his own before agreeing to Vennett’s terms. His target: Florida. And there, on the ground, Baum and his team discover the first signs of what’s to come: half-abandoned developments, mortgage brokers who brag about how they target poor people and minorities, the working class folks who bought into this perversion of the American dream and who will soon find themselves drowning in debt. Convinced that the bubble’s about to burst, Baum strikes a deal with Vennett. They are not only ones to go down this financial rabbit hole: the young investment team of Charles Geller (John Magaro) and Jamie Shipley (Finn Witrock) recruit former trader Ben Rickert (a virtually unrecognizable Brad Pitt) to help them cash in and win a seat at the table next to the big banks and investment firms. It takes two to three years for their bet to finally pay off for, as these men discover down the line, the game has been rigged. McKay and co-writer Charles Randolph use dramatic irony to wring some suspense and a lot of bewildered humor out of these proceedings. When two investors burst into Burry’s office demanding their money back after their investment initially goes south, you can’t help but smile, knowing that these old school businessmen have no idea of the riches headed their way if they just waited a little bit longer. You almost feel sorry for Burry…and guilty for wishing him well knowing how this will turn out. Geller’s and Shipley’s initial enthusiasm about the money making potential of this bet is so contagious that you cannot help but be caught up in it. At the same time McKay never lets us forget that these weirdos and losers that shorted the industry —as Vennett describes them at the beginning— are equally responsible for this mess. Bankers and investors, government officials, lobbyists and the public were all caught up in the sheer excitement of what seemed like a sure thing without paying much attention to the potential consequences. We all paid lip service to the Gospel according to Jim Cramer and Alan Greenspan. Mark Baum is the film’s moral center. In what is the best performance of his career so far, Steve Carell is the human equivalent of an IED ready to go off at any moment. His piercing stare, his posture, his seething anger as he interrogates his subjects in his drive to understand how the system could have been corrupted are a virtual stand-in for McKay’s and Randolph’s own anger. Baum is a man who doesn’t suffer fools gladly, whose faith in the system, already undermined by his brother’s suicide, is about to come crashing down. Gosling is equally magnificent: he comes across as the smarter, funnier brother of Matthew McConaughey’s trader in “The Wolf of Wall Street” (“The Big Short” and Scorsese’s film would make for a great double bill). McKay tackles the obtuse financial terminology used to bamboozle everyone by breaking the fourth wall that separates the screen from the audience. Anytime Vennett is about to explain a complex financial term like “credit default swaps” or “trenches,” he invites a celebrity like Margot Robbie (in a smartass nod to “The Wolf of Wall Street”), Anthony Bourdain or Selena Gomez to do so in the most simple terms. McKay even uses advertising-style montages to remind us of all the products, celebrity news and other nonsense that kept us distracted and numbed before the rug was pulled from underneath our collective feet. The film is not without its flaws, one of them being Rickert’s motivations for helping Geller and Shipley. The script never fully explains why a man who left the industry in disgust decides to jump back in and play the game, even though he angrily acknowledges that it will lead to people losing their savings, pensions and jobs. And when all is said and done, not even Selena Gomez can help us understand all the obtuse terminology bandied about. Like Spike Lee’s “Chi-Raq,” “The Big Short” is an essential and indispensable film. One that uses the tools that cinema and mass entertainment provide to bring us face to face with our foibles and the society that took advantage of them. While Lee’s film is a call to action, McKay’s is an invitation to never forget the names and the faces of those responsible for the mess we are in, the institutions that enabled them then and enable them now. 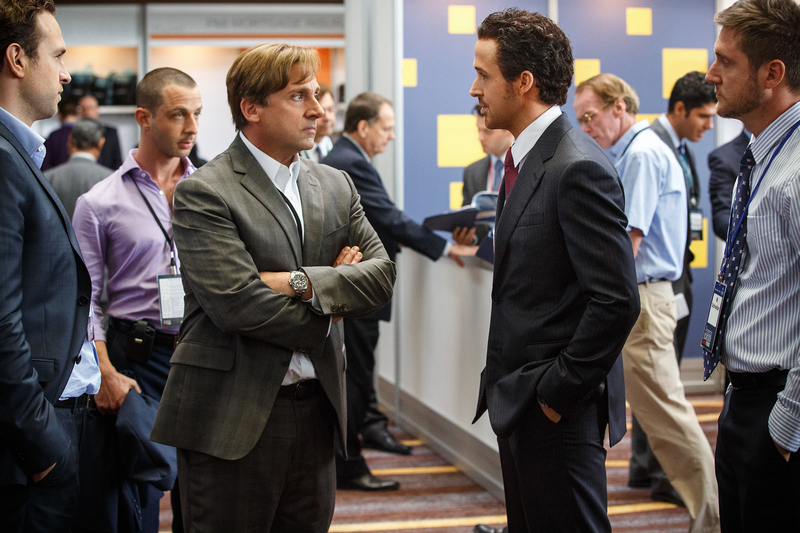 In the end, as “The Big Short” reminds us, nothing has changed.